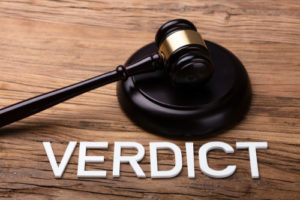 Attorney Stephen F. Lombardi is pleased to announce a record-breaking winning verdict in the recent case of Wender v. Bartlett. Attorney Lombardi vehemently represented his client, which led to an incredible $1.7 million compensation award. The large settlement amount was listed as number 19 in the top verdicts throughout the state of New Jersey in 2017.
Who is Attorney Stephen F. Lombardi? Attorney Lombardi is unique in that he is one of the few practicing lawyers who are certified civil trial attorneys as named by the New Jersey Supreme Court. Only two percent of New Jersey’s lawyers have been given this distinction. He has also passed the bar in both Pennsylvania and the District of Columbia. Attorney Lombardi also has the distinction of being an arbitrator as named by the state’s Superior Court Arbitration System. Most notably, he was giving the title of “Super Attorney” by the New Jersey Monthly Magazine. This recent $1.7 million victory has been added to the firm’s long list of significant injury-related settlements. Throughout its years, the firm has successfully helped its clients recover a whopping $400 million. Individuals who have suffered an injury, had their rights violated or been accused of a crime deserve to be represented by the best. Victims of someone else’s negligence deserve their rightful financial compensation for their losses. Attorney Lombardi is ready to take on your case.